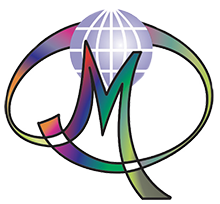 February 12–16, the inaugural meeting of the International Marist Apostolic Spirituality Commission (MAS) was held at the General House. A truly international gathering, its members came from a rich variety of cultures and experiences, both as Religious and Lay Marists. The members of the Commission are Ms. Agnes Reyes (Philippines), Ms. Bernice Reintjens (Netherlands), Sr. Vivienne Goldstein (General Councilor of the Marist Sisters, from Australia), and Brs. Maurice Goutagny (France), Benito Arbués (Spain), Bernard Beaudin (Canada), Vanderlei Soela (Brazil), Miguel Ángel Santos (Mexico), Spiridion Ndanga (Rwanda), Lawrence Ndawala (Malawi), Nicholas Fernando (Sri Lanka), Graham Neist (Australia), and two members of the General Council, Luis García Sobrado (Spain) and Peter Rodney (Australia). In his words of welcome, Brother Sean pointed out the significance of the Commission’s mandate for the Institute: the implementation of §48.1 in the Acts of the 20th General Chapter. 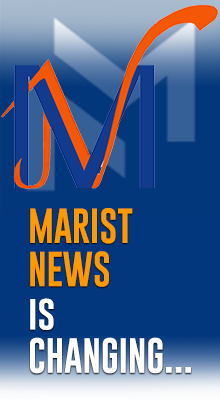 There are two elements in this mandate: processes to deepen the understanding and living of Marist Apostolic Spirituality across the Institute, and the production of a reference text to assist these processes. In four and half days of intensive work, the Commission made considerable progress in building a spirit of community, developing a shared understanding of MAS, shaping processes of animation and consultation; and refining a draft outline of the document. The Commission’s task was greatly assisted by the work of the Think Tank that met in Rome last June. The General Council held its initial plenary session of 2004 from January 7-February 5. During this time they completed their agenda, and their main decisions will be published soon. The Postulator’s Office has published a 16-page booklet in English, French, Portuguese and Spanish about Brother Henri Vergès (1930-1994). Henri witnessed to Christ’s love for the youth of Algeria for 25 years. In addition to biographical information, the booklet contains texts written by or about Henri. Brother François Rivat School in Samambaia, in the Federal District of Brazil, has erected a statue dedicated to the school’s patron. The school takes care of more than 300 children from impoverished families. - Brother Seán Sammon, our Superior General, was in Madrid recently to sign legal documents formally recognizing the restructured Marist Provinces in Spain. For this reason, on January 22nd he visited the headquarters of SED (Solidarity, Education, and Development), an NGO with ties to the Marist Brothers. - Archbishop Fran Rodé of Lublin, Poland, and a member of the Lazarists, has been named Prefect of the Congregation for Institutes of Consecrated Life and Societies of Apostolic Life. He succeeds Cardinal Martínez Somalo. - New Marist Community in Sucumbíos. Plans are being drawn up to build an intercultural secondary school with a bilingual program of studies in Sucumbíos, Ecuador. The Marist Brothers will be directly involved in this project. The Vicariate of Sucumbíos will own the school and land. - The 20th Inter-American Congress of Catholic Education took place January 8-13, 2004 in Santiago, Chile. 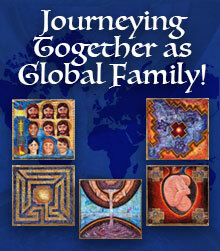 Its main theme was Revisiting the family – the family in the third millennium. More than a thousand people participated, coming from every country in the Americas. - The Association for the Study of Holy Week, headquartered in Zaragoza, Spain has bestowed its “VIII Tercerol Award” for 2003 to the Congregation of the Marist Brothers for its formation programs and promotion of the observance of Holy Week, especially among young people.